Designed with concert venues, nightclubs, and bars in mind, our Playful Diamonds postcard design template is the fast track to printing custom postcards that promote your next band or other entertainment event. 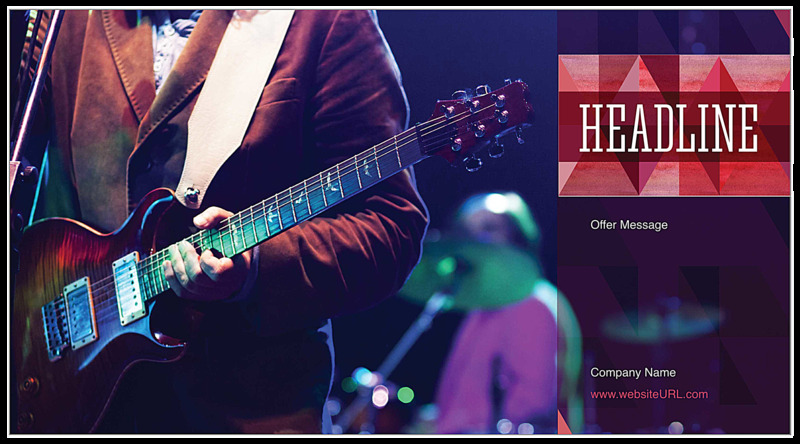 The front features your headline over a grunge multi-toned diamond pattern and a guitar/drums background to lend a sense of the musical experience your customers can expect. The grunge diamond pattern is repeated on the back, which is dominated by a large call to action orbited by your website URL and offer statements. You can even upload your custom logo next to your company address. Available in both horizontal and vertical layouts plus four unique color schemes make Playful Diamonds the perfect direct-mail marketing postcard to market your upcoming events. Personalize your postcard to match the tone of your tunes with our easy-to-use design tool today! 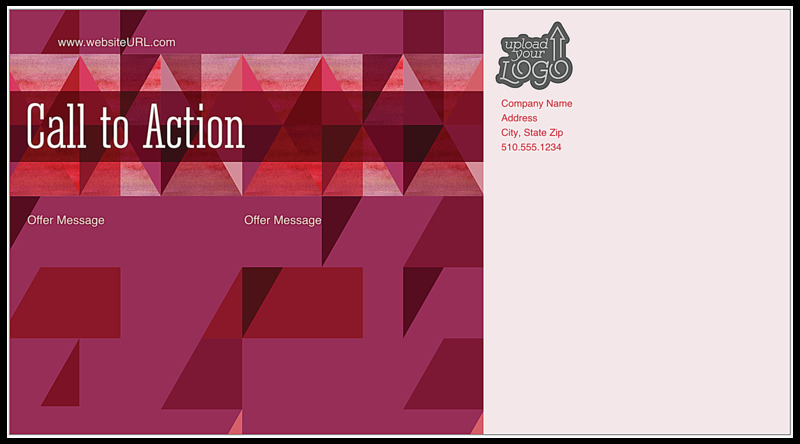 Our online postcard design tool makes it easy to print custom postcards. Start with our Playful Diamonds template, select a layout and color scheme, then use the intuitive interface to add your own logo and images plus customize your text. It’s so easy! Want to share your design with colleagues before you print your postcards? Download a free shareable PDF after you make your customizations! With fast turnaround and reliability thousands of businesses count on every day, you can trust PsPrint to deliver affordable, high-quality postcard printing that helps you market your business. Every job is backed by our 100% customer satisfaction guarantee! Want to print custom postcards with an extra special touch? Our custom printing team is here to help! From elegant metallic foil stamps to die-cut postcards in any shape you can imagine to triple-thick edge- striped ultra postcards, PsPrint has everything you need to design and print compelling postcards your customers will notice!